Swatch stands for top quality and high performance. EEC Events was smart enough to convince Swatch at the right moment in the right time, and met the high standards required to work several years for the International Promotion Department of this trendy Swiss Company, an achievement not many can say they accomplished. 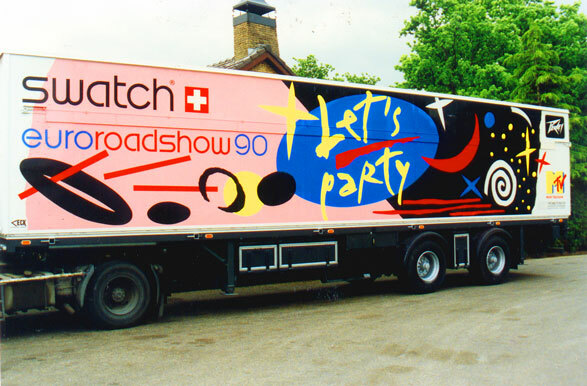 In 1990 EEC organised the very first ever pan-European music roadshow for the trendsetting Swiss watch company Swatch AG. Within a time span of 3.5 months EEC organised 54 Hip-Hop Dance Shows in 11 European countries from Norway to Portugal. The Swatch/MTV Euroroadshow ´90 was supported with a huge number of television leaders on MTV and promotions on local radio and national television in many countries. 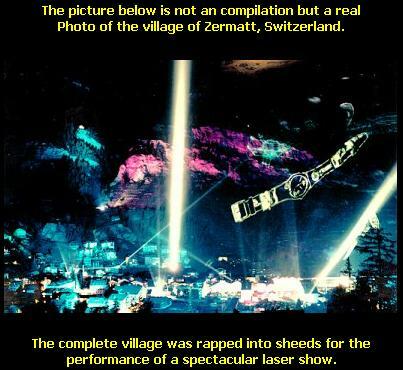 During the 10th anniversary celebrations of Swatch in Zermatt 1992, EEC was responsible for the supervision of the VIP tent activities, the rock stage at "Zen Stecken" and the coordination to the impressive 2 nights Jean Michel Jarre Lasershow (see the picture below which is not a morf but a direct photo of the show). 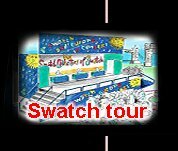 On behalf of the Collectors of Swatch Club, one year later, EEC provided the promotion facilities during the "Swatch with Jean Michel Jarre & Europe in Concert" Tour in 15 European stadiums. A special designed Roadshow Truck was developed for the purpose to register 25´000 new members.